DRAFT BUDGET - Talks on Romania’s 2019 draft budget continue. The budget bill should have been approved by the Government today, as planned, but it has been postponed once again after on Monday evening the leaders of the ruling coalition made up of the Social-Democratic Party- the Alliance of Liberals and Democrats failed to reach general consensus, mostly on local budgets. Both mayors and the Democratic Union of Ethnic Hungarians in Romania have been critical of these budgets. The leader of the Union, Kelemen Hunor, says the 2019 draft budget, in its current form, has some serious problems, especially as far as local administration is concerned. He has said that after talks with the Prime Minister he will decide whether or not the Democratic Union of Ethnic Hungarians in Romania endorses the budget. The opposition parties are also critical of the budget. DIPLOMACY – The Romanian foreign minister, Teodor Meleşcanu, has held bilateral talks with his counterparts from Egypt, Iraq, Lebanon and Yemen, on the sidelines of the EU and the League of Arab States ministerial meeting held in Brussels on Monday. During the talks, the Romanian foreign minister approached issues related to the future bilateral agenda, laying emphasis on boosting political, economic and sectoral cooperation. Meleşcanu has reiterated Romania’s commitment to maintaining its support for Iraq. He has also expressed concern about the escalation of violence in Yemen and gave assurances that Romania will get actively involved in all the EU’s demarches to politically solve the conflict in the region. The Romanian foreign minister has also reiterated Bucharest’s support for Lebanon’s unity, territorial integrity and sovereignty, as well as for the European and international initiatives aimed to consolidate the stability of the Lebanese state. EUROPEAN CHIEF PROSECUTOR – The former chief prosecutor of the Anti-Corruption Directorate in Romania, Laura Codruta Kövesi, is the first on the list of preferences for the position of European Chief Prosecutor. She is followed by prosecutors from France and Germany, respectively. The selection procedure for the position of European Chief Prosecutor does not depend on the candidate’s country of origin, as it is unfolding exclusively at European level. The New European Prosecutor’s Office will closely cooperate with OLAF, to detect and investigate cases of fraud all across the European Union. The European Prosecutor’s Office will have competence to research and prosecute crimes which impact the EU budget, such as corruption and fraud related to European funds. Laura Codruta Kovesi has been removed from office as chief prosecutor of the National Anticorruption Directorate, following a decision issued by the Constitutional Court. Earlier, President Klaus Iohannis had rejected as ungrounded the proposal to remove Kovesi from office, a proposal formulated by the Justice Minister, Tudorel Toader. POPE – Pope Francis on Tuesday ended his historical visit to the United Arab Emirates, with a grand mass celebrated in the open, in a country which authorises the practice of the Christian faith, on condition this is done in churches, FP reports. One of the organisers has announced some 170,000 people attended the event, an unprecedented public gathering in the United Arab Emirates. Participating have been Catholic believers from some 100 countries, alongside some 4,000 Muslims. Accordign to the local media, that was the largest gathering ever in that small Gulf country, which is home to approximately half of the 2 million Catholic expats who live on the Arabian Peninsula. On Monday, the Pope gave a speech in the United Arab Emirates, urging people to build bridges between peoples and cultures. FLU – The number of people who succumbed to the flu in Romania stands at 82, according to the latest data released by National Centre for Surveillance and Control of Communicable Diseases. The last three people who succumbed to the flu had pre-existing conditions and had not been vaccinated.  A flu epidemic has officially been declared in Romania, because of the fast-paced spread of the virus and the high number of flu-infections and deaths.